Moms always love getting something from their children that they made, whether it be a special card that says I love you, or a sculpture that’s made of mud. 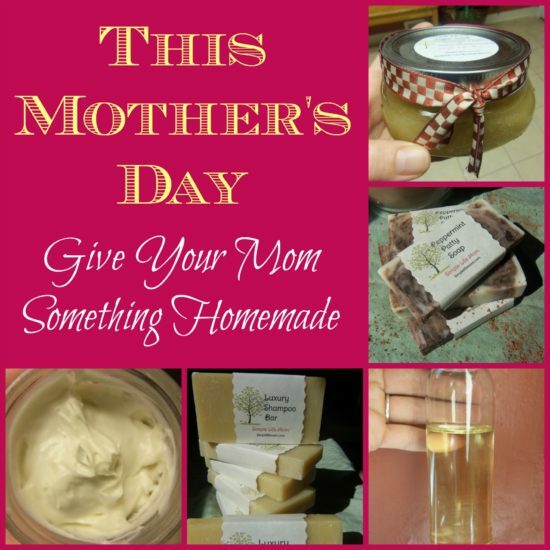 So, what could be better than a Homemade Mothers Day? 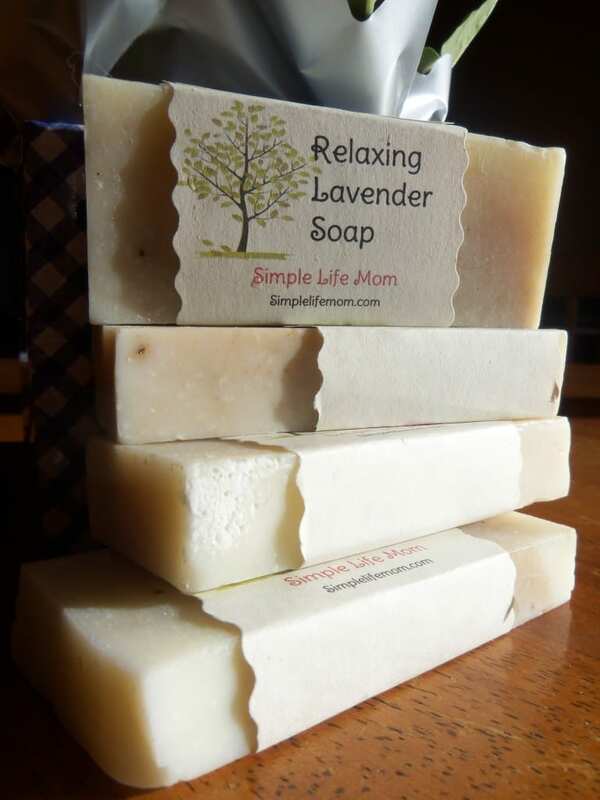 Make your own soap this week and hot process it so it’s ready by Mother’s Day. Click here for Recipes. Or, if that seems too daunting this week, you can buy some in my store and I will get them to the address of your choosing ASAP! I love that I can make my lotions smell any way I like. Click here for the Recipe. Or find it in My Shop. If you really want to pamper your mom, make her this special essential oil combination to nourish her face. 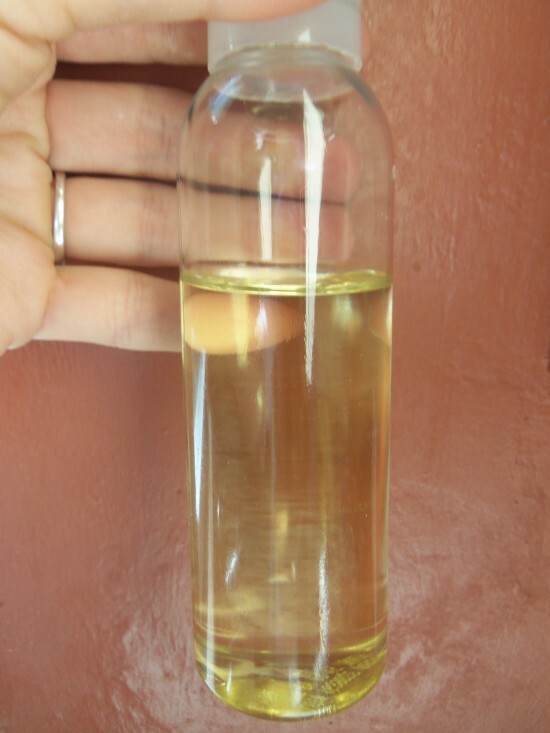 Anti-Aging Serum. 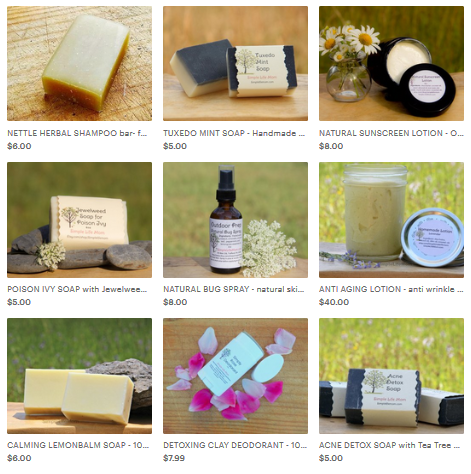 If you would like for me to make it for you, check out my Etsy shop. 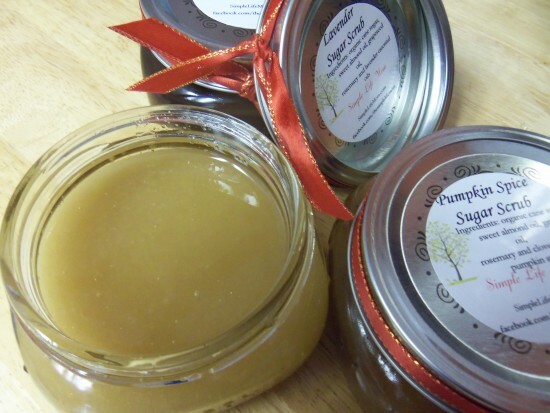 I love using sugar scrubs about once a week. 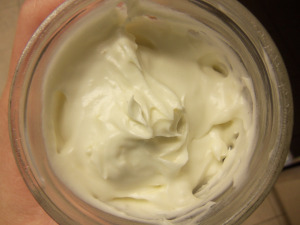 My face ends up feeling so smooth!! Here are 12 great Recipes. Or you can buy them at my Etsy store. 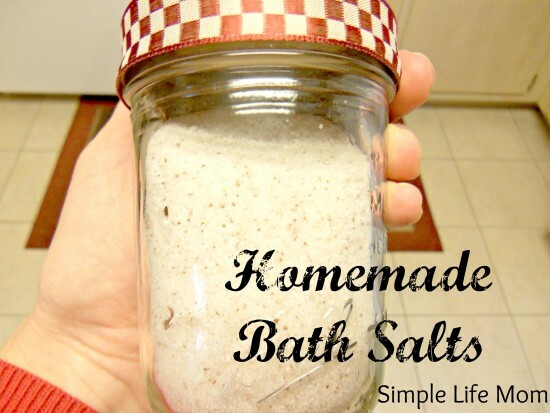 Here’s another set of great recipes for various Bath Salts to pamper your mom. 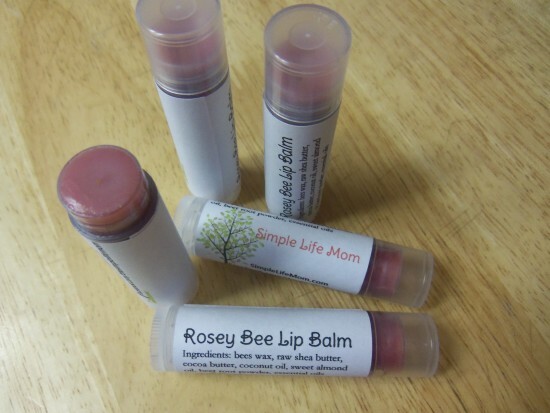 These really are silky smooth and full of goodness for your lips. For a recipe, Click Here. or buy them at My Etsy Store. 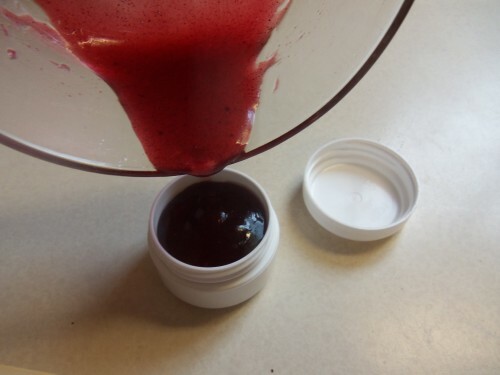 If you would rather a silky lip gloss, then try this recipe. 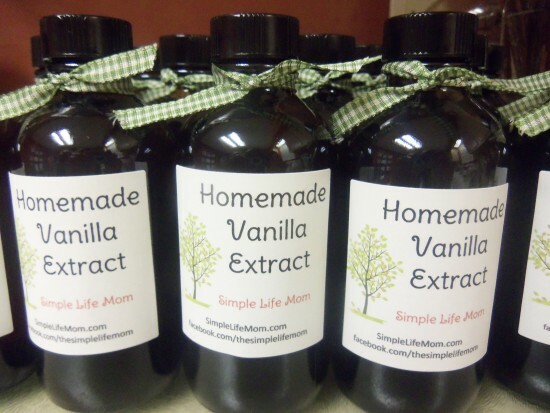 Even though it’s too late to make your own Vanilla Extract or Stevia Extract, you can still buy some of mine if you like. Or find both in My Shop. Wow this is a lot of MYO beauty recipes. Thanks so much for sharing them on Merry Monday Linky Party. Pinned to two boards and tweeted. Oh wow, what thoughtful and wonderful gifts. Thanks tons for linking to Inspire Me. I made a hot cocoa bath salts once that smelled to-die-for. And totally covered the tub in brown goo. 🙂 Greetings from Mostly Homemade Mondays. You must write good stuff, I hit your site through two different linkies and both posts were good enough to warrant a comment. Keep up the good work! Love DIY recipes and homemade recipes, They are so much healthier. Your homemade stevia recipes is something I would like to try – if I can find the stevia plants to grow. Thanks for sharing. 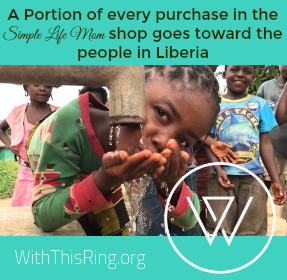 Visiting from Wildcrafting Wednesdays! Have a healthy happy day! I can’t wait to try some of these. I don’t even think I’ll ask the kids to help, just do it myself so I can enjoy it faster! I’m glad I found your post through the What I Learned Wednesday Link party. These sound like great gift ideas! And of course, I could use a little pampering myself. I will definitely try some of these recipes, and check out your shop!